Black/Pink - Small - SHIPS FREE! Black/Pink - Medium - SHIPS FREE! Black/Pink - Large - SHIPS FREE! Black/Fucshia - Small - SHIPS FREE! Black/Fucshia - Medium - SHIPS FREE! Black/Fucshia - Large - SHIPS FREE! 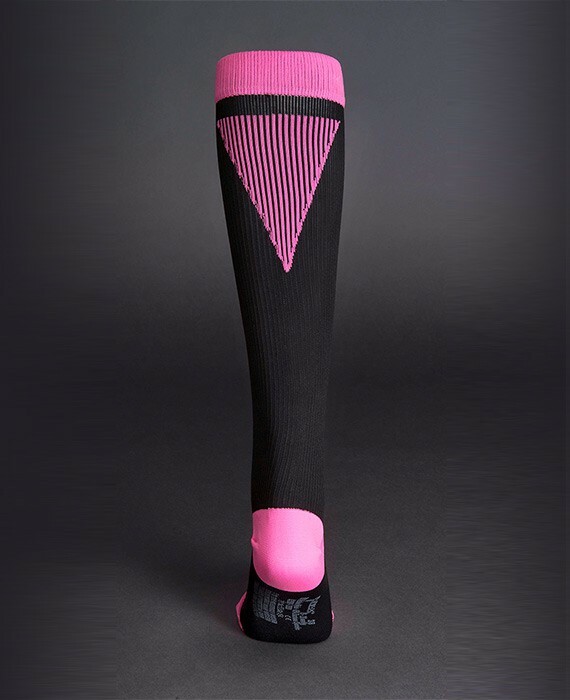 NV-X Women's Compression Sport Socks are able to help comfort the calf muscle by bringing down the swelling due to edema or other muscle soreness. 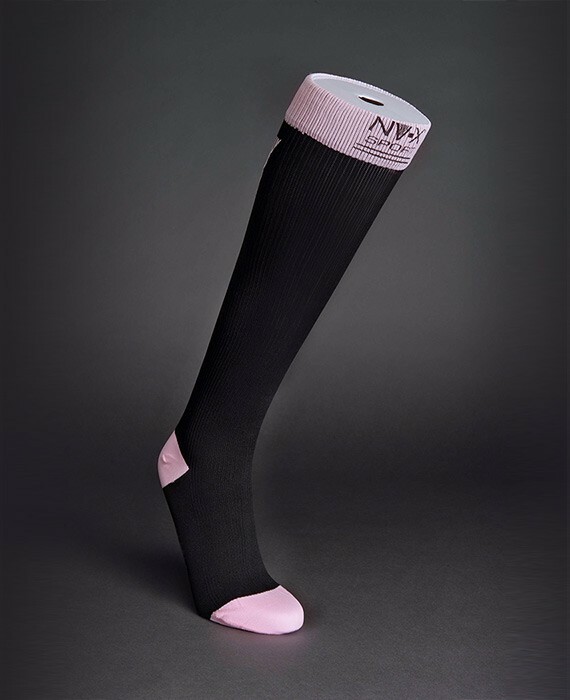 NV-X's Women's Socks are able to cover the foot and calf like a crew sock but provides enough compression to keep you moving during your activities. Each sock contains a moisture wicking fabric that moves any perspiration to the thicker portion of the sock, keeping your foot dry as you move. The socks are made with an anti slip fabric that won't bunch, bind or slide down the leg. This assures the sock will stay on all day long until you're ready to take them off for the day. The socks come in two-tone colors and are available in four sizes for the best comfort.